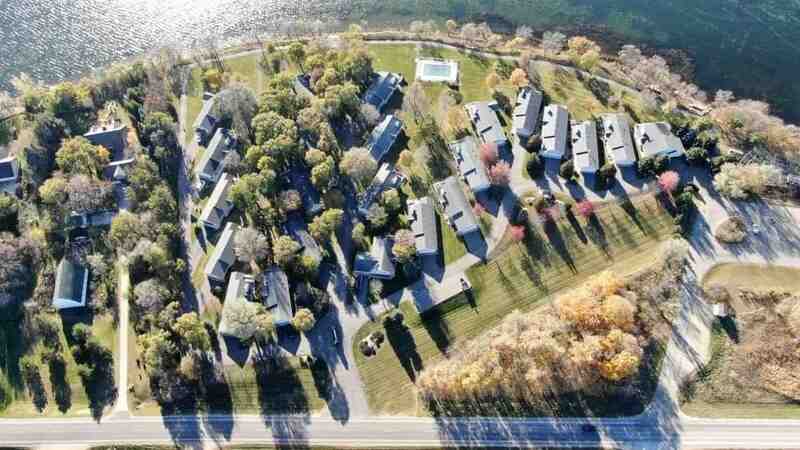 Frenchman Cove is a townhome association located at the northeast side of Lake Le Homme Dieu in Alexandria, Minnesota. There are twenty three homes and this association has the distinction among the lakefront associations in that it has an inground pool. Swimmers enjoying the pool also enjoy a lake view. From Frenchman there is a broad view of Le Homme Dieu and you can see Lake Carlos beckoning you for a visit. Next to the association on the north side is the Krueger Creek Public Access. Downtown Alexandria is a short drive from Frenchman. To be at Big Ole’s feet it will only take ten to twelve minutes. As of today, there is one home for sale at Frenchman Cove. It has always had a reputation of being a well run association.